With the outburst of technology surrounding us, it’s common for today’s youth to tune out global issues and tune in only to their iPods or cell phones. However, many South Asians have done the exact opposite by breaking through this construct. Many have opened their eyes and given their hearts out to the adversities of India and its bordering countries. Although it is hard to believe, a new influx of American born Indians are connecting to their roots and are helping reform the unsteady infrastructure of their countries. Feeding the hungry, teaching the locals how to read and write, and freeing the Dalits are just a few of the accomplishments of these young men and women. Every so often, we at Sapna like to highlight these enlightened individuals â€” not only to honor them, but to inspire all of us to step outside the box and initiate social change. 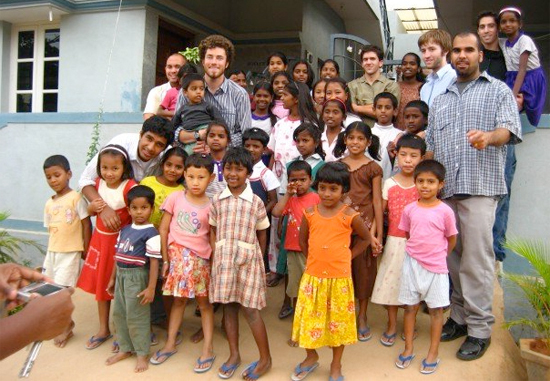 Volunteer Romin Irani (far right) and other volunteers with the kids of the village. Pari went to India with the hopes of working with her uncle at his law firm in Ahmedabad, Gujarat to study international relations between India and US. His career was not what she expected, so she decided to volunteer at a non-profit over the weekend to pass her time and also help out in the community. She walked the slums, and to her surprise, there was an already established NGO at the Gandhi Ashram where she began to volunteer. Pari would often wander around the community center, when one day, a group of girls approached her and asked her to teach them English and Math. Expecting this to be an easy and laid back trip, this little turn made her experience follow a very different trajectory. â€œIt was a lot more than what I had imagined, and it was a struggle, but one where I learned a lot,” states Pari. 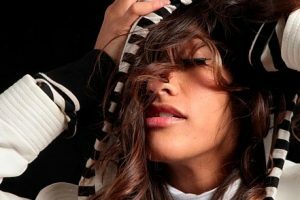 Working with underprivileged children and womenâ€™s rights allowed Pari to figure out what she wanted to do with her life. 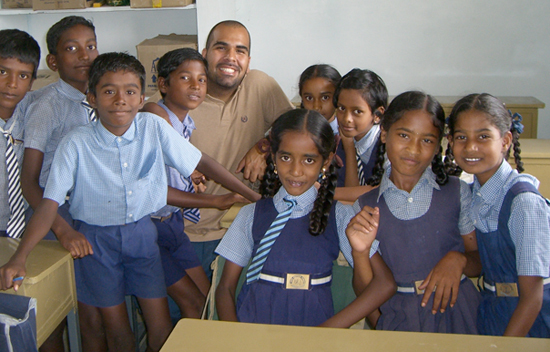 Romin Irani with a group of students he taught overseas. On a daily basis Pari would take the local bus from her uncleâ€™s house to the slums where she would give English and Math sessions to the young girls informally, but soon the group got larger and the class became more formal and would be taught on a regular basis. A lot of her work also included her convincing parents to allow their daughters to actually receive lessons and go to school. If she had the time, she would have a large tutoring session for about two hours a day in which all the kids of the slums would attend. As if volunteering at one place was not enough, Pari would go trash picking with the girls sometimes and she would also take the local bus home and volunteer at Seva CafÃ©, a restaurant run by volunteers that makes money through donations from customers. Her stay in India lasted about one year, and she would go back in a heartbeat if her parents let her. Pari knew that what she faced was merely a fraction of what these young girls faced on a daily basis. This was her strength and inspiration that kept her strong. However, she also says that if you choose to volunteer, make sure it is at a safe place, a place where you know the people, and a place you can trust. She did encounter a few situations that were less than ideal– but that never deterred her from continuing her journey to help people. 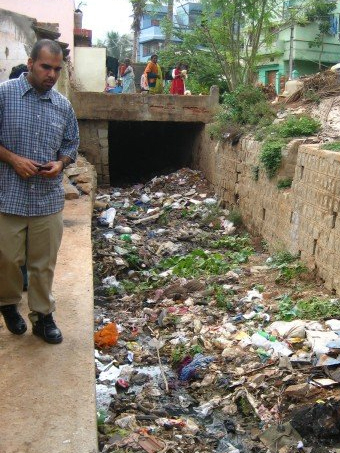 We can be the difference to end pollution, poverty, and much more by just volunteering. Romin was born and raised in San Diego, California and never thought that he would take a trip to India. He was familiar with community service because he had done community service on and off for two years in Mexico with a local Church group. A turn of events lead him straight to Bangalore to help the Dalits. Dalits are people who are traditionally known as people of a â€œlow caste.â€ They are often disregarded and are generally the people who work as servants, doing odd jobs to make ends meet. Romin joined a group called DFN (Dalit Freedom Network) which is partnered with OM (Operation Mobilization). DFN is the U.S. side of things, whereas OM is based in India and mainly built schools for slum and rural kids that gave them an English medium schooling, something that usually is expensive in India. Romin wasnâ€™t sure how he would make it through his trip, but at the end of it, he didnâ€™t know how he would leave the kids and come back to America. He fell in love with them. Even though he went there to teach them English, he learned more from them than he ever thought he would. He was shocked at how little they lived with but how happy they were. It opened up his eyes to a world that he never imagined he would be a part of. Romin wasnâ€™t sure how he would make it through his trip, but at the end of it, he didnâ€™t know how he would leave the kids and come back to America. He fell in love with them. 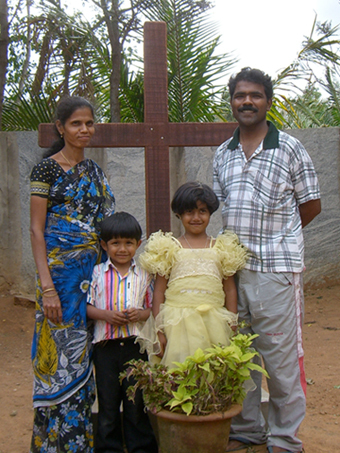 A cook that Romin befriended, pictured with his family. This photo was sent to them in a frame; it is the only picture they have of their family.